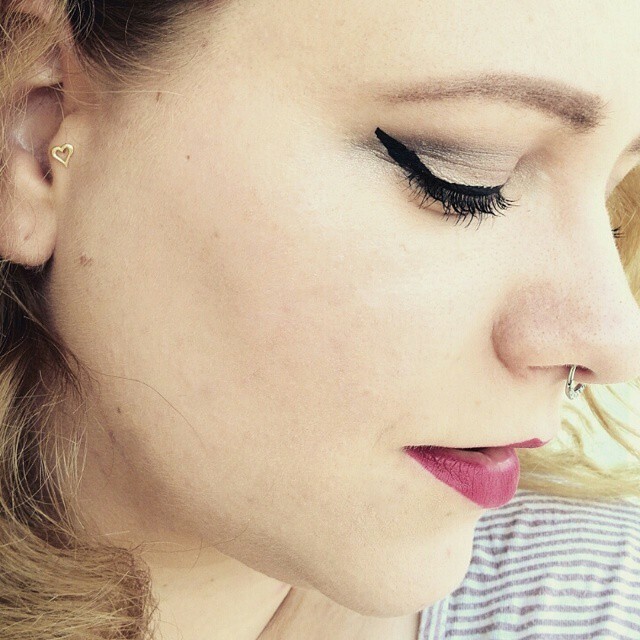 Review: Tragus labret + Septum round clicker (Karma Se7en) - Cherry Colors - Cosmetics Heaven! 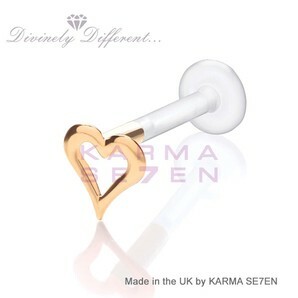 A new day, and a new shipment of lovely piercing jewelry from the Karma Se7en website! 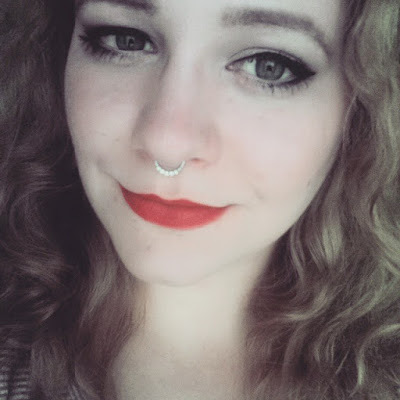 This time, I wanted to try some septum jewelry, for my new septum piercing. I thought it would be a month or more before I'd be able to test them out, but after all the drama, I am currently wearing one of the two rings I got (the other is a simple seamless titanium ring). The boxes in which the piercings came in are beautiful as always (you can check them in my previous review). I am currently in the phase of wanting to find the septum ring/clicker that fits me smugly. And because of a wide nose bottom (? ), I have some troubles finding it. I got this 10mm clicker ring with jewels on it because it's on the bigger size and still looks wonderful. It's wide 1.2mm, which is a bit small compared to my 1.6 piercing, but I think it's fine because even my piercer wanted me to have a 1.2mm piercing in my septum. Probably because it looks more delicate? IDK, but it feels very lightweight. I am absolutely in love with the clicking system. It's fairly easy to close it (in my nose, in hands - nothing easier! ), you'll definitely know when it's closed because it'll make a "click" sound. The piercing is made from stainless steel, and I have no problem with it. My piercing feels healed, because finally, the ring is big enough! I absolutely love it on me! + a nicely fitting ring! - I may go with a smaller diameter next time, I want a 100% snugly fitting ring! 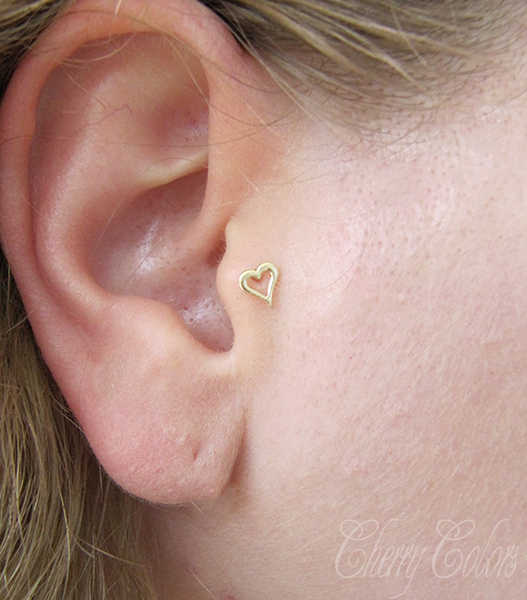 With my sponsored order, I got a little dainty tragus piercing. Because at the time I was wearing gold balls on my septum piercing, I went with a gold theme with it, too. The piercing is made from bioplast (stem), which is harder compared to my other bioplast labrets. There's nothing wrong with it, just worth noting. The stud (heart) is very thin and sturdy, and looks wonderful! It's easy to insert in the clear stem and even easier to wear. Everyone liked it when I showed them. I do like it very much and find it to be perfect piercing to wear every day. Or for special occasions, since it's so lovely. I am very pleased with both of the piercings and in the future, I will do another review showing you the seamless ring.